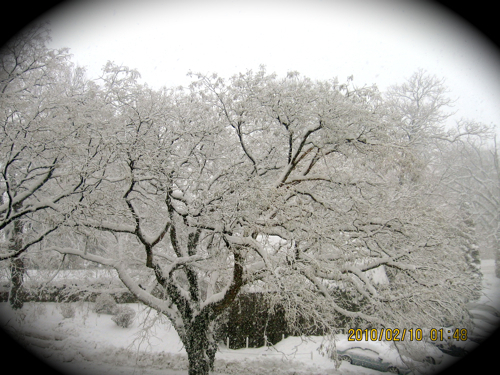 With 49 of our 50 states wearing snow on the ground at one time this month, I had to create a rhyme to go with all the snow in my own neighborhood. 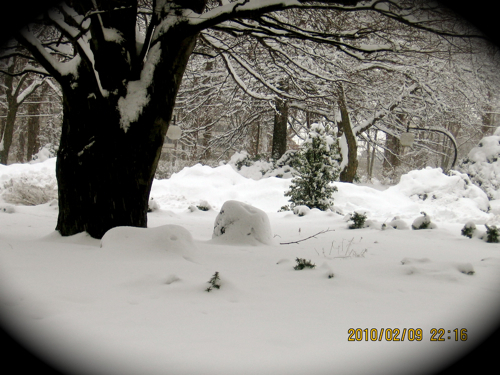 The black & whites are actually the result of the day we had no sun, while the “colored” ones are the next day after the blizzard when the sun shone brightly! 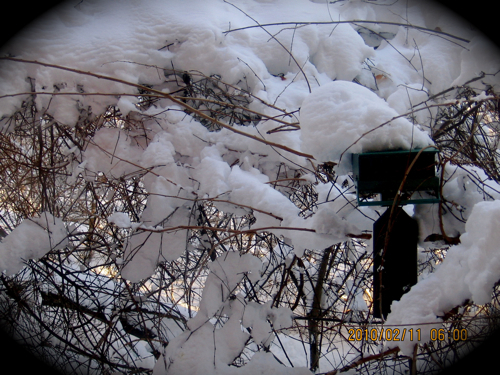 Â Again, see it’s beauty as joyful, not a nuisance, and it won’t seem so awful. Just walk and drive safely! 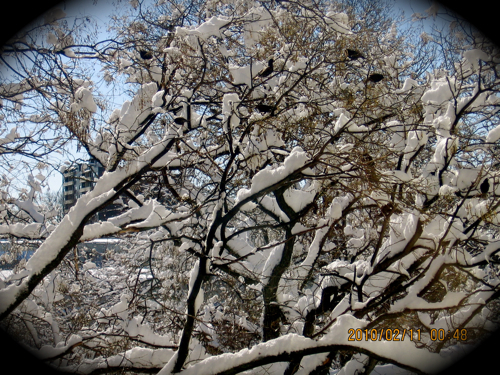 Why we had so much snow is still something of a mystery. No bright colors, yet the statement’s bold! cover the ground like silent tunes. 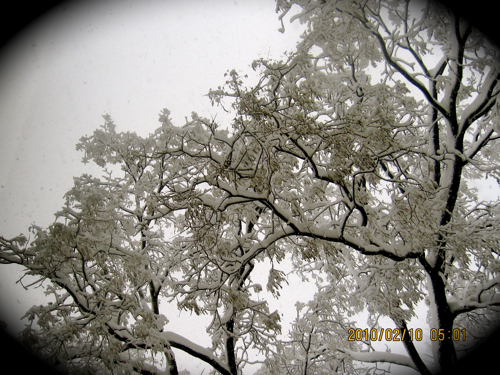 EnJOY the snow with all its beauty. Gather it up, for it’s winter’s booty! Author Judi Thomases, as the back cover notes, is the founder of a womenâ€™s spiritual network for meditation, teaching, and personal development. 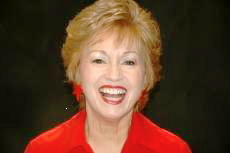 In 1997, Judi began to hear the â€œvoicesâ€ of her spirit guides who have guided her in healing and helping others. Wisdom teaches us that, while temporary pain is normal, continual suffering over its cause isnâ€™t necessary.Â We can instantly change our thought to take things more lightly. The struggle of growing is what lifeâ€™s about. Enjoy it! Use life to learn wisdomâ€”of any type, but especially that of learning to be loving.Â Value even the painful efforts as badges of the struggle toward enlightenment. Pain and sorrow â€“the causes of fear- are necessary to prevent life on Earth from seeming like a pleasant but unreal dream.Â They are also essential precursors to the most intense joy. As I was typing these quotes, I realized that they are hard to believe. How can pain lead to joy? The answer to that is the three (easy) steps described in Chapter Eleven: sensing spiritâ€™s presence, then overcoming skepticism to digest the teaching being given, and finally realizing that you are of the very same spiritual nature as your guides. If you believe that all of us are divine and made in the image of the creator, by whatever name you call that, then this book will give you hope for the future, because the author notes that humanity is now in the stage of the overall creation in which the divine will reveal itself, bringing joy to us all. This book may seem a little â€œfar outâ€ to many of you, but after reading it, I realized Thomases message of hope and joy is sincere and from her heart. The possibility of hope and joy are worth exploring! 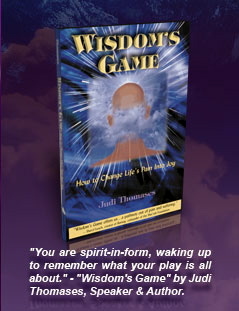 Judi Thomasesâ€™ Wisdomâ€™s Game is published by Cypress House. The cost is $12.95 and is available from Amazon.com, Barnes & Noble, and directly from Cypress House (800) 773-7782. 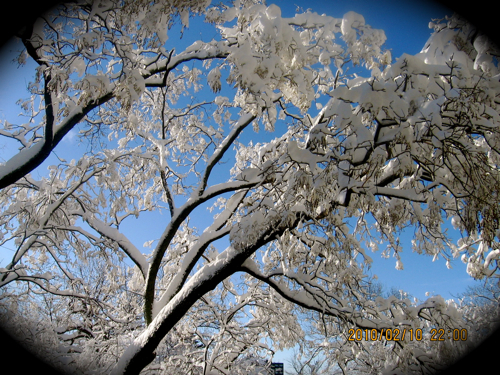 You are currently browsing the Menupause weblog archives for February, 2010.